But you can eat yogurt, right? This is from @caitlennicole, whose manager SWORE there would be vegan options at the work picnic this time and boy, did he really over-deliver! 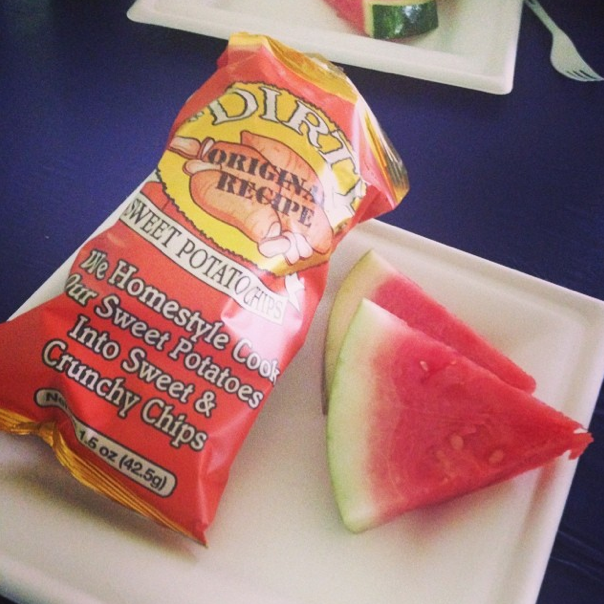 Have you ever had a watermelon sweet potato chip sandwich? It’s a real delicacy on pirate ships everywhere. But they meant well. Which is pretty much the worst thing you can say about anyone.